Notice: This is an old thread. The last post was 2614 days ago. If your post is not directly related to this discussion please consider making a new thread. 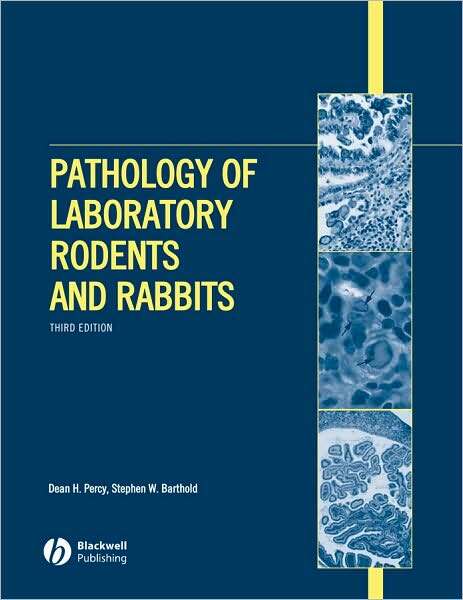 Pathology of Laboratory Rodents and Rabbits has become a standard text for both veterinary pathologists and veterinarians in laboratory animal medicine. Newly recognized infectious diseases continue to emerge and molecular methods for studying infectious agents are becoming widely used for the classification of these and previously known pathogens. With the ongoing development and perfection of genetic engineering techniques, the use of genetically engineered mice in the research laboratory continues to grow exponentially. This new edition features updates throughout with increased emphasis on timely topics such as infectious diseases in genetically engineered mice. Diseases covered include viral infections, bacterial infections, parasitic diseases, nutritional and metabolic disorders, behavioral disorders, aging and degenerative disorders, environment-related disease, and neoplasms. Organized by species, coverage includes mice, rats, hamsters, gerbils, guinea pigs, and rabbits. Veterinary pathologists, laboratory animal veterinarians, and students will appreciate the concise organization and easily accessible information on key diagnostic features, differential diagnoses, and significance of diseases. Last edited by Motoko; 15th August 2012 at 11:35 PM. Reason: ADD INFO, IMAGE, DESCRIPTION. TEMPLATE. Last edited by Motoko; 6th April 2018 at 01:48 AM. Reason: UPDATE.